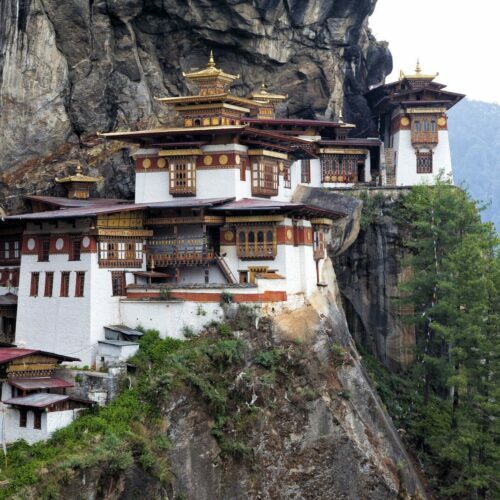 Those seeking adventures of a more mystical order will fall in love with Bhutan’s temple-scattered alpine forests, soaring Himalayan peaks, and cliff-hung monasteries. Visit during the warmer months, when Bhutan’s untapped wilderness is most accessible, or plan your trip for the autumn, when rare black-necked cranes come home to roost and many religious festivals are in full swing. Whenever your travels fall, seek out a destination-worthy retreat: we’ve selected eight of the best hotels in Bhutan for luxury lovers. Notable for its pared-back, Dzong-inspired architecture and hand-painted Buddhist murals, the Taj Tashi is conveniently situated in the Thimphu Valley, with easy access to the capital’s shopping and sights (though pristine mountain passes and refreshingly raw wilderness aren’t far away). Before departing, be sure to sample ema datshi­—Bhutan’s national dish, made from chillies in a cheese sauce—from the on-site Chig-Ja-Gye restaurant. Combining chic, contemporary interiors with traditional architecture, COMO Uma Paro is perched atop a forested hill, with breathtakingly vistas of both the ancient forests and valley floor. Don’t leave without enjoying a deliciously relaxing hot stone bath treatment in its Shambala Retreat. This cosy, rural farmhouse epitomises Bhutan’s serenity. With its soft lighting and underfloor heating, Gangtey Lodge is a lovely place to linger—particularly when admiring panoramic views of the pristine Gangtey Valley from the comfort of a roll top bath. Beyond the hotel, be sure to venture to the nearby monastery, where you’ll receive a blessing from the Tulku (master) followed by a sumptuous private breakfast. Flanked by an elegant temple dedicated to the goddess of wealth, the renovated interiors of the historic Gangtey Palace signal its religious past. Traditional Bhutanese murals adorn its walls, and the rooms are vibrantly hand-painted with Buddhist symbols. Look for the natural spring in the palace grounds—the curative properties of its water have been noted by locals. Sharing the serene Paro Valley with Bhutan’s famed Tiger Nest Monastery, Zhiwa Ling Heritage is aptly described as a ‘place of peace’. Locally owned and run, its suites offer panoramic views across the pine forests, and its colourful in-house temple, constructed from 450-year-old timber beams, places it high on the list of Bhutan’s best luxury hotels. 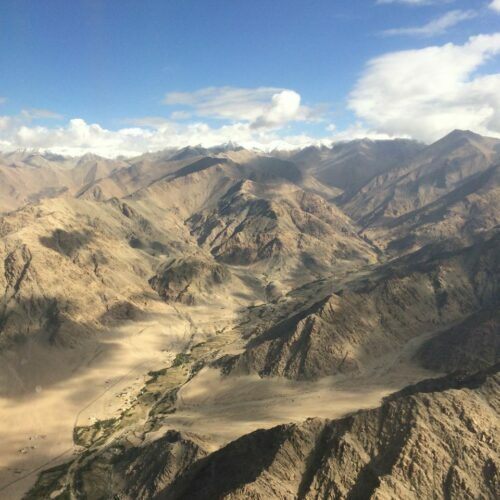 If it’s unbridled wilderness that you’re after, you’ll find it at Dhensa Boutique Resort. 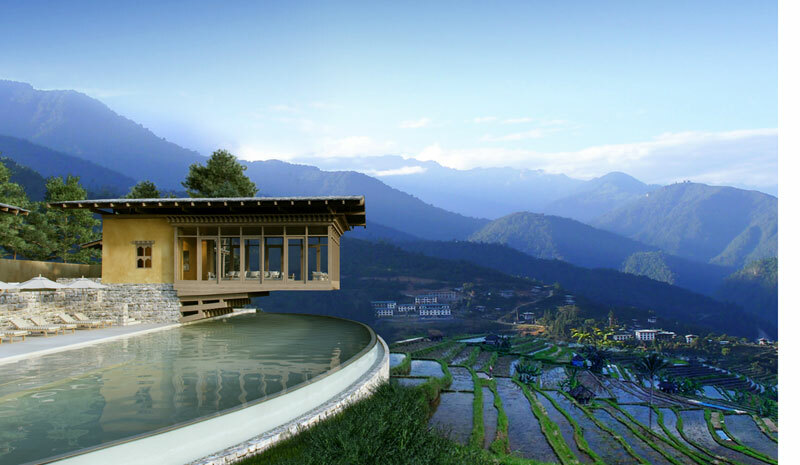 Offering a contemporary take on traditional Bhutanese architecture, the hotel is surrounded by forests and teeters at the edge of a verdant quilt of rice paddies that sweeps down towards the Punakha­­ river, running through the base of the valley. Each of the resort’s suites has a private balcony, with a glass-fronted bathroom that allows you to gaze out across the valley from a bamboo-carved­­ bath. Of the five Aman enclaves scattered throughout the country, it’s Amankora Gangtey that numbers among the very best luxury hotels in Bhutan. That’s thanks in part to its exceptional location: overlooking the vivid, 16th-century Gangtey Monastery, this eight-suited retreat offers an unrivalled perch from which to observe the scenery, as well as the 300-strong flock of endangered black-necked cranes that arrive during the autumn and winter months. 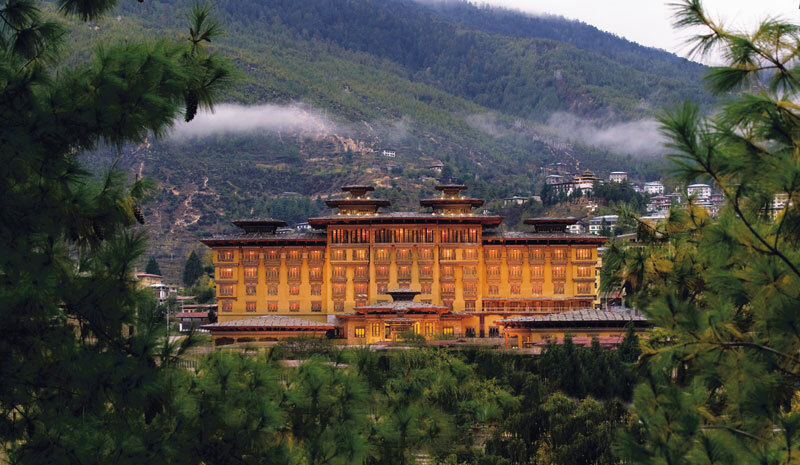 Luxury-hunters should keep an eye out for Six Senses Bhutan, a collection of five resorts located in Bhutan’s most in-demand destinations, including Thimphu, Bumthang, and Gangtey. 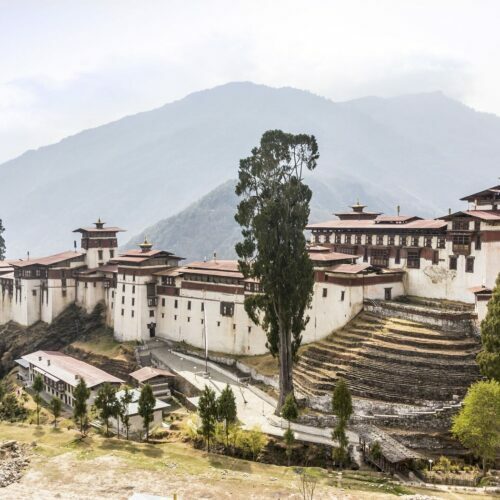 Due to open in the latter half of 2018, the hotels will offer minimalist interiors, luxurious amenities, and the chance to immerse yourself in Bhutan’s spectacular serenity.